and/or influencing the casting structure. 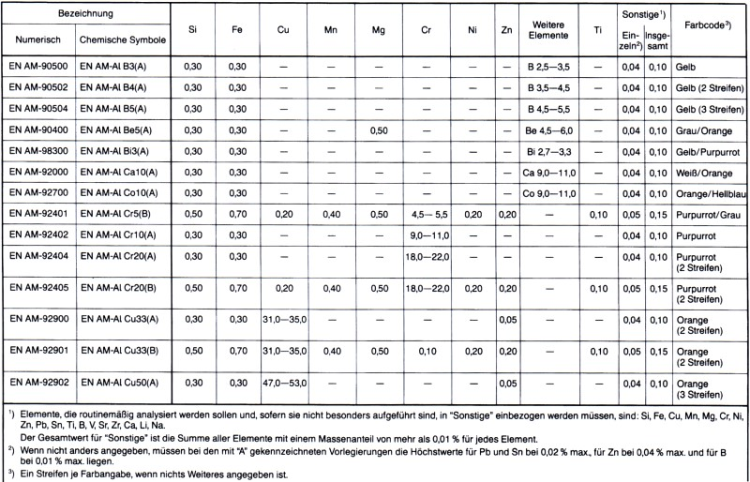 Some master alloys may contain more than 50 % of the main alloy element. The products have to be visually inspected by the manufacturer and must be free of dross, corrosion, slag or salt inclusions, greases or other foreign bodies to such an extent that the melt quality and/or yield is not compromised (except for color residues as a result of color coding). The products can have cracks or cavities which may contain moisture. Therefore, the master alloys must be carefully dried and preheated in a furnace prior to charging in order to prevent the risk of heavy explosions or melt ejection. 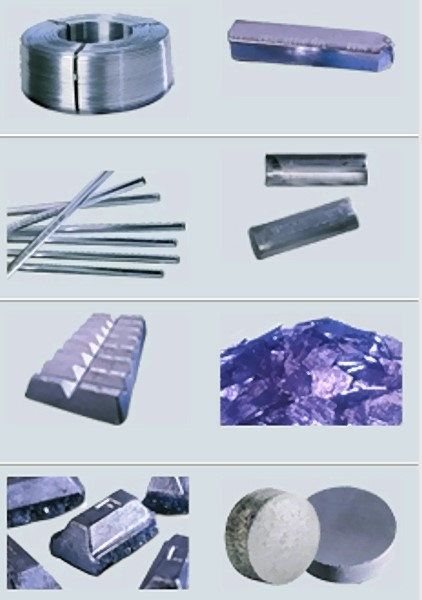 In order to comply with the permissible maximum contents of additives and impurities, the starting materials used for producing master alloys must be of high purity. Obtaining a structure with low segregation is possible using different casting-related and metallurgical measures; as an example, the maximum content of segregating additives must be reduced and master alloys are often also produced in small-sized pig molds to achieve high solidification rates and maximum solubility without any segregation effects.